flip a coin. 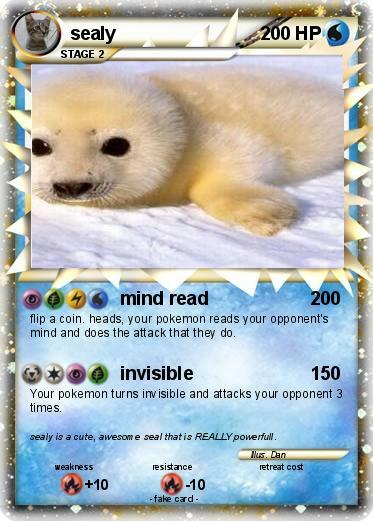 heads, your pokemon reads your opponent's mind and does the attack that they do. Your pokemon turns invisible and attacks your opponent 3 times. Comments : sealy is a cute, awesome seal that is REALLY powerfull.